Going for a vintage look this Halloween? Why not give everyone a trip to the 1920s with a fun Roarin Twenties themed costume. Make an outfit that suits your own personality when you take a look through all of our 20’s inspired clothing and accessories. 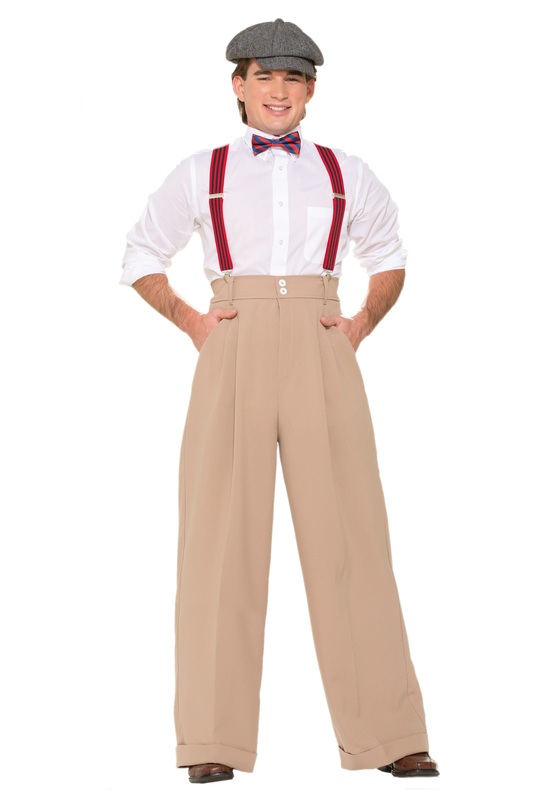 You’ll want to pick out a snazzy button up shirt along with a set of suspender straps to hold up a pair of these amazing Mens Roarin 20s Deluxe Pants! Nothing brings a costume together quite like a good pair of pants. You’ll look as if you just stepped out of your time machine. With a few more accessories your look will be flawless. Grab a bow tie and an awesome hat like a casual newsy cap or a fancy fedora. Make a Roarin transformation this Halloween and remind everybody about the good times in the 1920s. Just be sure to have a pair of these deluxe pants around your waist to complete your retro look!